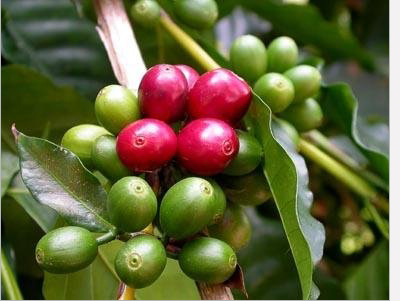 Coffee is made from ground bean a seed of the coffee plant. They are actually seeds but referred to as beans. Green coffee seed is the unroasted coffee seeds. They are processed using wet or dry methods. They are green in color when immature but when they mature they get brown, yellow or reddish color. Coffee has plenty of types with different making process and materials. Black coffee (Espresso), Cappuccino, Americano, and others. The side effects means to either cause a new health-related problem or aggravate pre existing condition. According to numerous research surveys conducted high doses of the caffeinated beverage can cause anxiety disorder and depression and even risk of death. For some reason if you were a heavy coffee drinker and reduce it suddenly then there are chances of getting withdrawal symptoms. Gastric issues also can be caused or aggravated with more caffeine consumption, like acidity, nausea and vomiting. Acidity is a very bad gastric condition and if you get symptoms of this condition immediately try remedies to control it. You can feel fatigued as one of side effect. It can make you feel tired even with little physical exertion. Caffeine withdrawal leads to headache or migraines even in those who only drink in moderate amounts as per research. Coffee in excess causes high blood pressure but recent studies has contradicted on this. Caffeinated coffee is said to cause heart problem such as stiffening of arterial walls or irregular heart rates, palpitations for some period which can be treated with medication. Iron deficiency anemia is the most seen adverse effect from coffee because it blocks the absorption of iron (mostly in infants). Some studies reveal that caffeine may cause bone disorder like osteoporosis and has bone fracture risk but if you consume coffee in limits you can avoid this condition. Pregnant women must abstain from coffee as it is believed to result in spontaneous abortion or retarded fetal growth and birth weight being lower than normal. But if the woman is addicted to coffee, she has to limit its intake to only 3 cups daily. Children are also prone to some risks with coffee with behavioral problems, anxiety or disturbed sleep. Children may lose concentration on studies and tend to become fussy. Thus it is difficult to come to know if green coffee pure actually has any side effects but in case you are consuming coffee more than a moderate amount and feel you got some new health issue or preexisting issue is being exacerbated, start reducing coffee intake little by little. People believe that it is impossible to get de addicted. But where there is a will there is a way. So it is better to control your consumption rather than having to give it up completely.